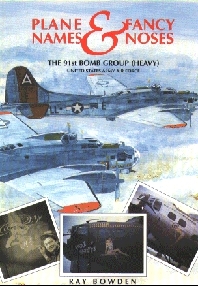 One of the first bomb groups in action in North Africa was the 12th "Earthquakers". This B25 equipped medium bomb group had departed from the USA in July 1942 and arrived in Egypt in early August, based initially at Ismalia and Deversoir. 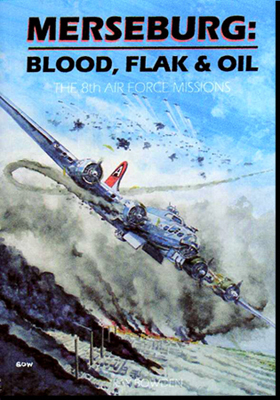 Their first mission was flown on the night of 16th August to strike Mersa Matruh. The group went on to excel itself in support of British and Commonwealth troops fighting in the harsh and inhospitable desert terrain. 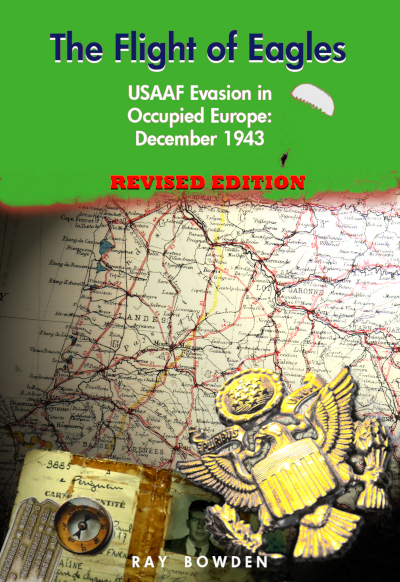 Later the unit was transferred from the 9th Air Force to the 12th and continued its fight over Sicily and the Italian battle lines. Later still, it moved to fight against the Japanese in the Pacific region. 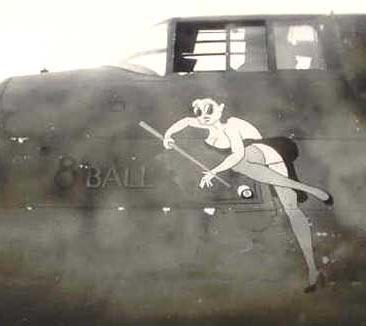 Somehow, at some time, in spite of the unbelievably difficult conditions, Norman Harms painted several nose art images on the unit's B25C Mitchell medium bombers. His style is easy to see and we have dubbed him "Big Eyes". His use of cartoon style images incorporating big eyes, often on a dog, was his distinctive trade mark and was almost certainly modelled on LIFE magazine's Paul Benson who created numerous risqué cartoons using characters with big eyes. Sadly, he left no signature on his work but his work is unmistakeable. Shown at left are several examples of the work this artist completed but there were many others. 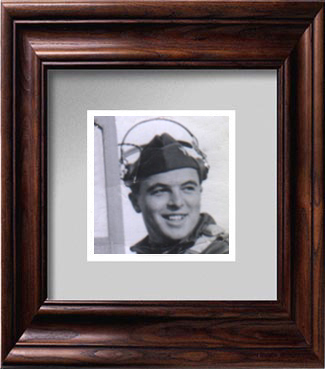 Captain Norman L Harms was a copilot, and if anyone can any information on the history of any of the planes and their crews, or the origin of the cartoon style I would greatly appreciate hearing from them. I would also love to see any further examples of his impressive nose art work. 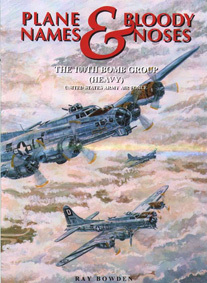 Interestingly, a training book entitled "Sweet Bombing" produced for the Bombardier Class 14 of 1943 displays another example of the "Big Eyes" cartoon.